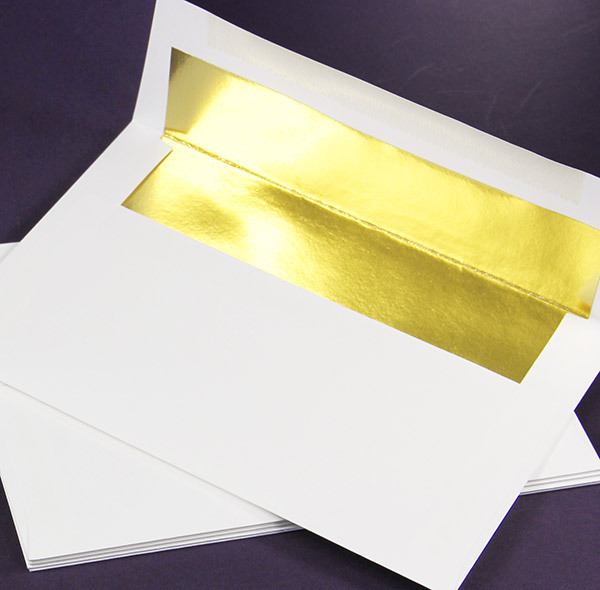 A9 cream, gold foil lined envelope: This shiny gold lined invitation envelope is heavyweight matte ecru paper on the outside, reflective gold foil lining on the inside inside for a premium, elegant invitation envelope. 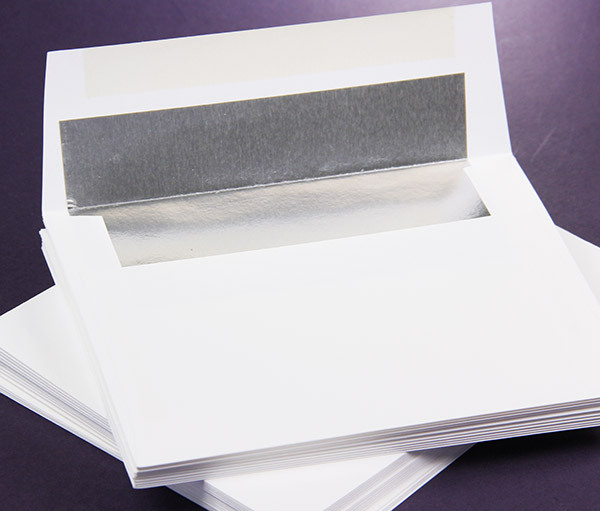 Size is A9, 5 3/4 x 8 3/4, making these perfect lined envelopes for 5 1/2 x 8 1/2 half sheet invitations. 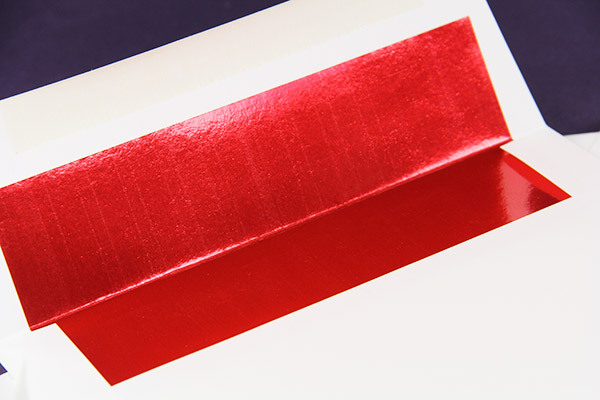 Envelopes feature a straight flap. Order blank or printed. 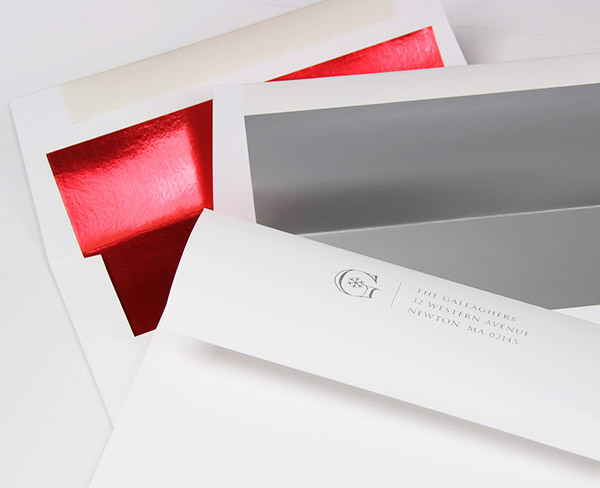 Great for use as a holiday, party, or wedding invitation envelope.